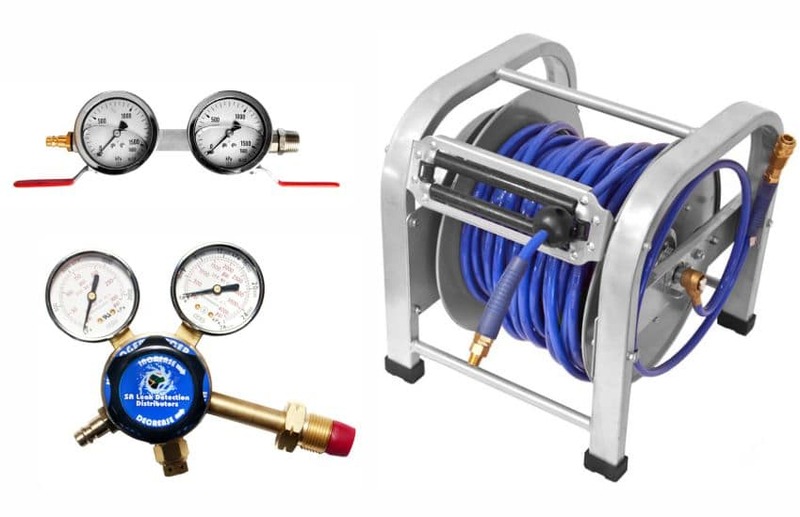 The gas hose-reel and regulator kit are used to introduce tracer gas into the pipes or for inflating liners. The retractable hose-reel is easy to transport and does not get tangled and knotted like traditional hoses. The retractable hose-reel has quick release couplings on either end making connecting and disconnecting the reel quick and hassle free. A pressure gauge manifold is supplied to monitor the pressure in the pipes as well as the pressure in your gas bottle.